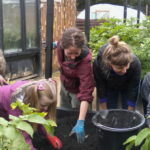 The Concrete Garden is an urban community food growing, play and wellbeing project providing growing space, activities, events and volunteering opportunities for the people of Possilpark and the wider North Glasgow area. We work alongside local folk to create a healthier, happier Possilpark by creating opportunities to grow, work, socialise, play and learn together. The Concrete Garden charity began in 2010 with our flagship site here at the St Matthew’s Centre. Since then, the organisation has grown and we have lots of projects for you to get involved in! The Concrete Garden | Communal and individual plots and beds for growing food. Our urban chickens live here too! 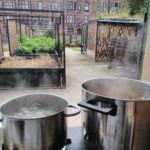 Community Kitchen | Cookery workshops and community meals, sharing local and surplus food from Fareshare. The Back Garden | Communal and individual plots and beds for growing food. This is also home to our natural play area. Play | Natural play sessions held in The Back Garden with PEEK (Possibilities for Each and Every Kid) and High Balls Low. 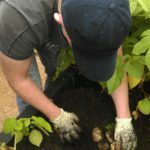 Volunteering | Get involved with Concrete Garden activities with Do a Little Change a Lot volunteering! There are loads of ways you can get involved! 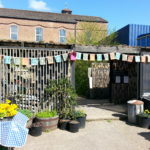 You can drop in to our weekly Social Gardening sessions at both the Concrete Garden and the Back Garden or lend a hand at our volunteer action days. 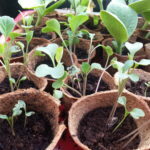 You can take part in workshops on growing and cookery with our Grow Your Own, Thrifty Gardener courses and Community Kitchen project. We also host seasonal events and celebrations like our Spring Open Day, Harvest Festival and Soup Off. To find out about what’s going on this month check out the Concrete Garden and Back Garden Facebook pages.